It’s time to vote for the official Supporters’ Player of the Season 2018-19. As usual this is jointly organised by STAR and Reading FC and voting begins this week. STAR will be placing voting cards in the concourses, next to the voting boxes, ahead of the match versus Brentford this Saturday 13th April and again on Monday 22nd April versus WBA. Alternatively you can vote online via the Reading FC website now at Reading FC Website POTS Vote. Closing date is 5pm on 23rd April. 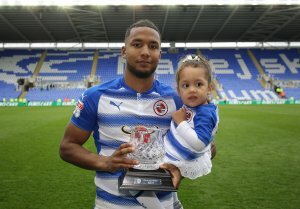 The votes will be counted by STAR and the winner presented with the award ahead of the last home game versus Birmingham City on 5th May.